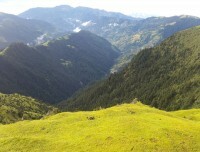 Pikey Peak and Dudh Kunda Trekking / Views from Pikey Danda. 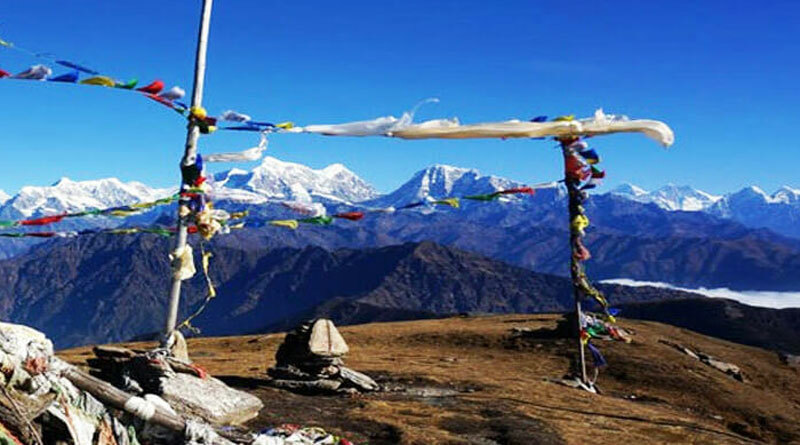 Pikey Peak and Dudhkunda Trek Cultural Trail (Solukhumbu, Nepal) is a newly opened trekking route in the lower Everest region. It is quite a remote area where a few trekkers do trekking each year. 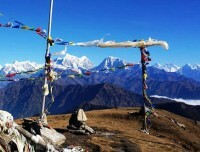 Pikey Peak is also culturally rich trekking where you can see ancient monasteries, Mani walls and Stupa etc. 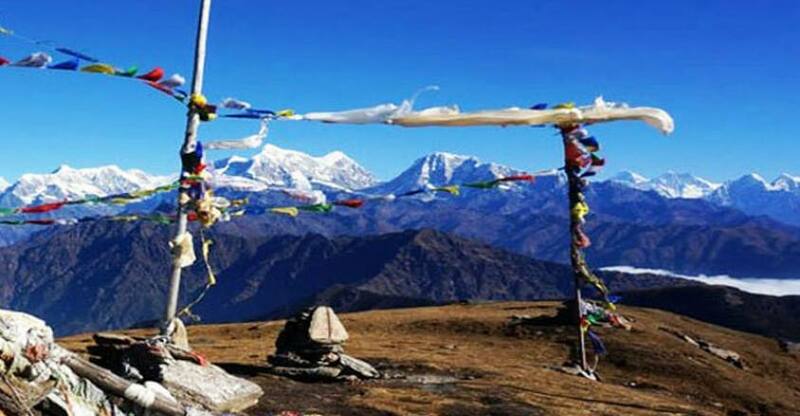 This trek offers majestic views of Everest, Kanchenjunga, Makalu, Ama Dablam, Mera Peak, Gauri Shanker and Nambur Himal to the North and deep valleys dropping away into the clouds to the South from Pikey Peak at 4067m. You can enjoy the breath-taking Sunrise and Sunset views from PIKEY PEAK The legend: Sir Edmund Hillary himself claimed it his favorite view of Everest from Pikey Peak. The Sherpas people believe that their clan god is living at Pikey Peak where the locals get to gather to worship/praying during the month of July. 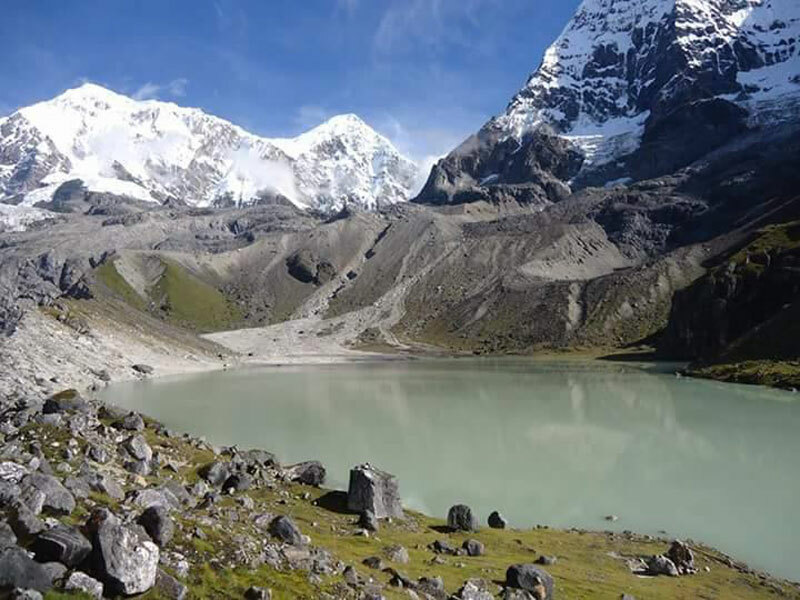 Dudh Kunda is a scared Lake in the lower Everest region. DHUDH KUNDA situated in the lap of Mt. Numbur, locally known as Shorong Yul Lha, Protector of Solu region. Dudh Kunda (which literally means milky lake) is believed to be a holy lake and the locals believe that taking a dip in the holy waters will have the wishes granted There is Shaman dance festival at the Lake in the full moon August each year. There can find different types of Rhododendrons that bloom in the forest in April/May. 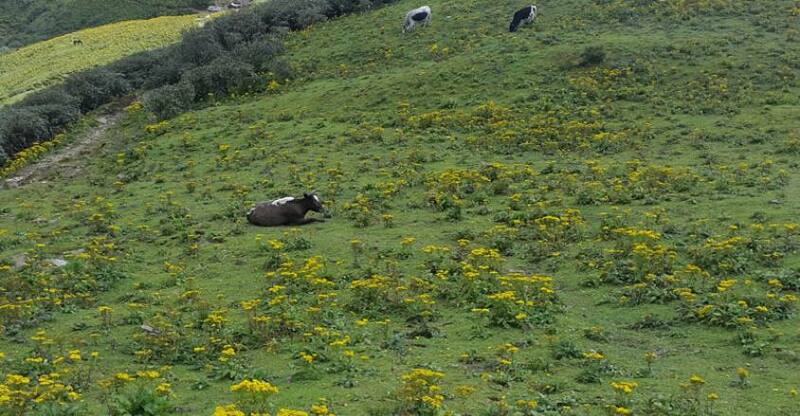 This trek is also rich in Himalayan flora and fauna etc. While trekking in this region, you will learn about the lifestyle of the Rai, Sherpa, Tamang, Magar and other ethnic people as well, the architecture, their foremost temples, Buddhist monasteries and their way of life, as you spend your days mainly in Lower solu villages. Pikey Peak Dudh Kunda Cultural Trail (Solukhumbu, Nepal) is spectacular in every sense when it comes to the panoramas of high peaks, where you can explore the unique landscapes above timberline, you will have trekking in the fine forests, ancient Buddhist monasteries, temples whereby you can have spectacular mountain views of the mountains, you will explore the unique, Rai, Sherpa, Tamang, Magar culture, impressive temples monasteries, and villages inhabited by the friendly people, these all the features have made Lower Solu and Lower Everest, one of the perfect destinations primarily for family trekking. Jiri Bazer, Pikey Peak, Junbesi Village, Thupten Choling Monastery, Dudhkunda Lake, Mt. Numbur Himal, Phaplu Airport. Day 02: Drive to Shivalaya(1810m) 7/8 hrs. Day 03: Trek Shivalaya to Bhandar(2400m.) 5/6 hrs. Day 04: Trek Bhandar to Namkheti(2300m.) 6/7 hrs. Day 05: Trek Namkheti to Naur Gompa (2900m.) 6/7 hrs. 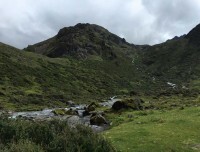 Day 06: Trek Naur Gompa to Pikey Peak (4070m.) 4 hrs. 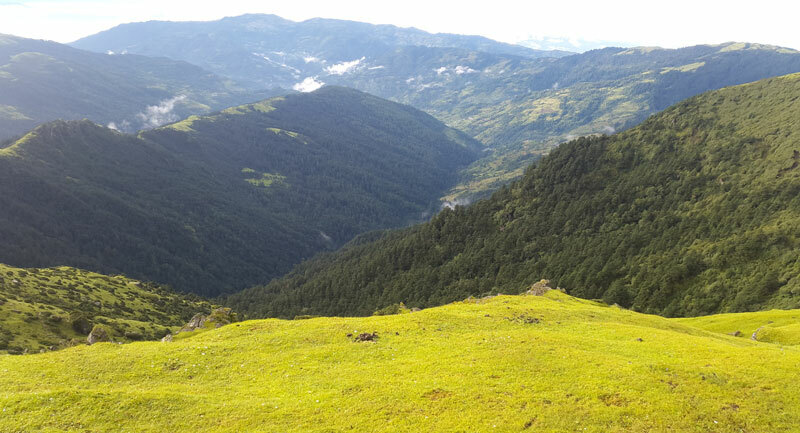 Day 07: Trek Pikey Peak to Junbesi (2580m.) 6/7 hrs. Day 08: Trek Junbesi to Thupten Chholing Gompa (3000m.) 3/4 hrs. Day 09: Trek Thupten Chholing Gompa to Veri Kharka(3840m. 5/6 hrs. 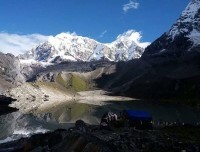 Day 10: Trek Veri Kharka to Dudh kunda Lake (4560m) 5/6 hrs. Day 12: Trek Dudhkunda Lake to Chahuri Kharka (3565m.) 6/7 hrs. Day 13: Trek Chauri Kharka to Chiwang Gompa ( 3000m.) 5/6 hrs. Day 14: Trek Chiwang Gompa to Phaplu ( 2470m.) 3/4 hrs. Day 15: Fly back to Kathmandu 35 minutes. Kathmandu city tour as per the above itinerary. Meals (breakfast, lunch, and dinner) with Tea & coffee and hot water during the trek. 1 experienced helpful and friendly guide, 1 cook and 1 helper, porter, their food & accommodation, bus ticket, salary, equipment, and insurance. Kathmandu to Shivalaya private transportation. Halesi Trek Will officially welcoming and meet you at Airport & transport by private vehicle to the hotel. You will have leisure time, followed by an evening welcome dinner at a typical Nepalese Restaurant and discuss the trip, overnight at Hotel. Beautiful drive through many different village, rivers, hills via Jiri Bazer etc. when the road goes up we will see a panoramic view of the hills, village, and valley. Then you will reach the Shivalaya which place is located bank of Khimti river. Overnight at Tent camp. You will walk through the many different villages different cultures and Jungle as well. First part you will have to climb up till a little pass Deurali(2705m.) then walk down to Bhandar. Such an excellent view from Deurali. Bhandar is a beautiful place with tea gardens and many things they grow there. You will enjoy the place. Overnight at Tent camp. The first couple of hours you descend trail to Likhu river then you will cross the Bridge then you will start to climb up to Namkheti through the many different villages. It’s really great to walk through villages and see their culture and typical Nepali village life. While you are passing these villages you will see Brahman, Sherpa, Newar, and many more different casts and their all the different culture as well. Overnight at Tent camp. You will walk through the village and crops field. Today normally you will climb up. This is sherpa village with Buddhism culture. Visit the monastery and go to pray and learn about their interesting culture. overnight at Tent camp. Pikey Danda is one of the best places to see the panoramic view of the mountains and valley. This is the place from where you can see the top of the world Mt.Everest and many other mountains. 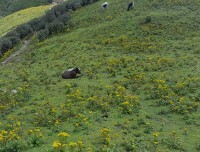 There also you can visit the cheese factory where they make Himalayan Yak (Nak) cheese. Stay overnight on the hill with such a great view and stars light at night as well. overnight at Tent camp. The trail to the top of Pikey Peak starts from behind the lodge and follows a gradual slope to the summit, strewn with prayer flags. It’s important to start before dawn to reach the top for sunrise as the views from the top are breathtaking. If the weather is clear you will be rewarded with views stretching from Annapurna to Kanchenjunga, it is truly amazing! The trail to Gompa from Junbesi is very beautiful and pass the several villages and potato field. Thupten Chholing Gompa is the place where most of the monks live there. It’s big monastery and there are many monks that they came from Tibet long time ago. There you can go to pray in the morning and evening at the monastery. You will enjoy the being here. Overnight at Tent camp. We start to walk to the Dudhkunda lake and we can’t get village couple of days so we will stay in the jungle. It’s a really great path with incredible view and landscape. 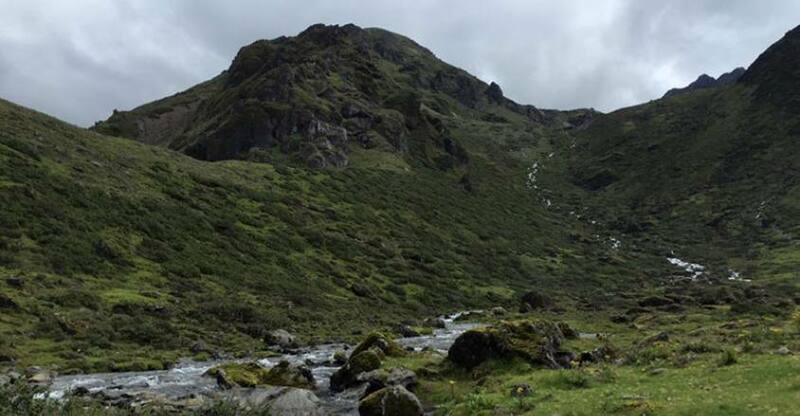 You will have fun to do this trekking, stay in the jungle on the tent. 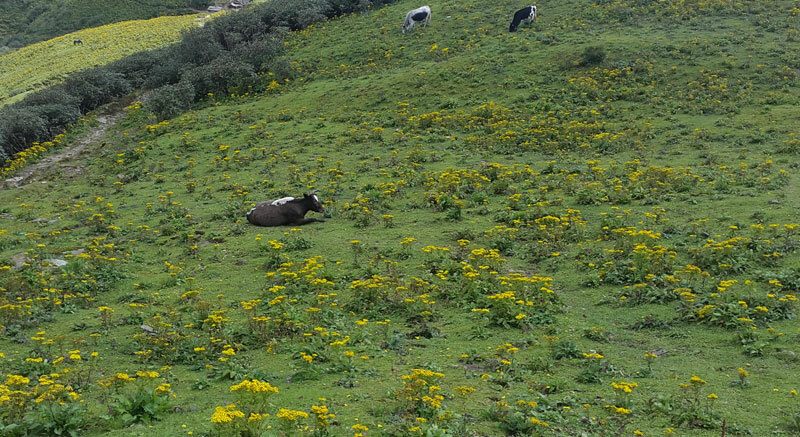 You will see the wild animals and many birds. overnight at Tent camp. Today go up to the viewpoint. 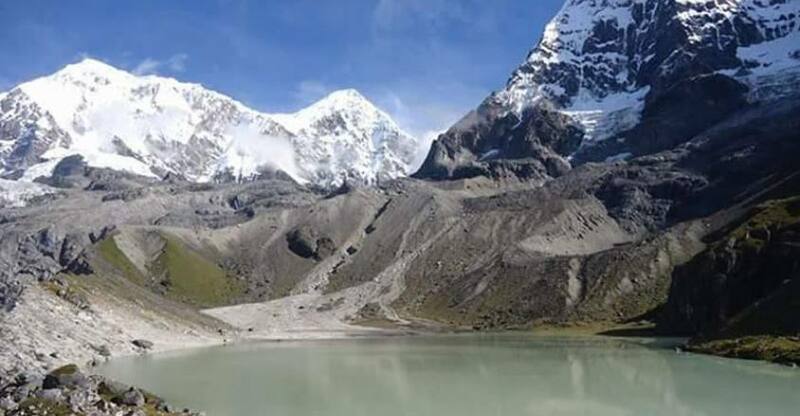 See holy Lake Dudh Kunda, experience high altitude thin air and see spectacular views of mountains such as Number, Khatang, Karyolung, etc. Besides, we would also be privileged to observe fair if we happen to be there at Janaipurnima in August. The migratory aquatic birds can also be seen in the area during the rainy season. overnight at Tent camp. Today trails go normally downhill through the jungle and some bare hill. 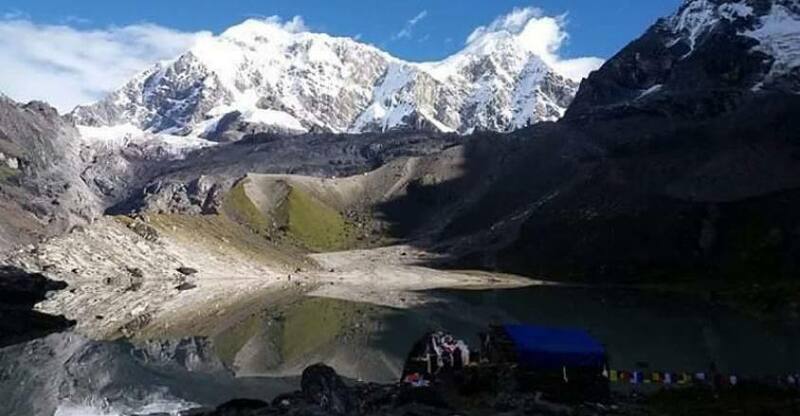 After the Dudhkunda lake, you will feel almost finished the trekking. overnight at Tent camp. Such a great walk to the chiwang gompa. Chiwang Gompa is located on a hill with the best view and incredible place. Chiwang monastery is the really nice monastery. This monastery was founded in 1923 and has magnificent celebrations for the Mani Rimdu festival in autumn. You will feel great to be here. Visit the monastery and see their culture. overnight at Tent camp. Then last day walk about 3 hours to Phaplu airport. In the afternoon walk to the sallery market where located district headquarters of Solu-Khumbu, its half an hour walk from phaplu. The walk back to phaplu and in the evening make last day party in Phaplu and thank for the all the staff and Goodbye to them with hoping to see them again. overnight at Tent camp. We will pick up you from the airport and transfer to the hotel. Be fresh in Kathmandu after two weeks trekking in mountain and enjoy the walking around in Kathmandu. The below-given cost is per person and the below-given Pikey peak and Dudhkunda Trek fixed departure dates are available for you. If the given date is not favorable then please contact us and we will happily customize your trip on dates more appropriate for you.